Mitch Teich speaks with Milwaukee Magazine's associate editor Matt Hrodey about his latest profile of Senator Tammy Baldwin. It’s been just over a month since sweeping victories by Republican candidates around the country, and here in Wisconsin. And once the lame duck session of Congress ends, Democrats will be the minority party in both the House and the Senate. The week after the election, we caught up with Wisconsin Democrat Tammy Baldwin, the state’s junior senator. Despite the shift of party control, she sounded unfazed by the challenges ahead as a member of the minority party. "I don't think my job changes frankly. I'm a U.S. Senator from the state of Wisconsin, I am fighting for those opportunities to help working families get ahead," Baldwin says. "Yes, there's a change in partisan control, but my job in many ways remains quite the same as to advocate for Wisconsin." As a profile in the December issue of Milwaukee Magazine points out, it was a typically measured response from the former congresswoman from Madison. Associate editor Matt Hrodey traveled to Washington to interview Baldwin, and he spoke with Lake Effect's Mitch Teich to share what insights he learned. "Her style as a senator is pretty collegial, so she's kind of doing a little bit of a waiting game to see how people are going to react to her and what the new environment is," Hrodey says. 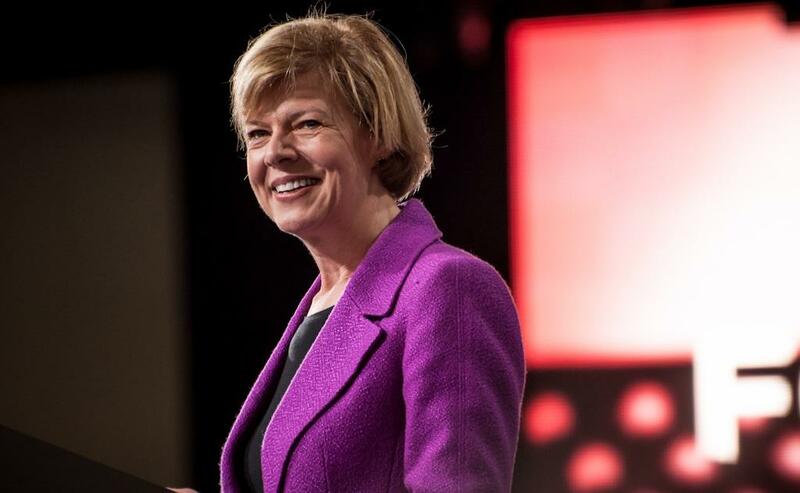 "If you like a sort of true blue, liberal politician, you're going to like Tammy Baldwin. As much inroads as she's made and building connections with the business community, she's still Tammy from Madison," he says. "She sees being a public official as an actual profession." Lake Effect's Bonnie North chats with Jane Chu, chairwoman of the National Endowment for the Arts, and Wisconsin Senator Tammy Baldwin. Also listen to a performance by the Lationo Arts Strings Program. Jane Chu, chairwoman of the National Endowment of the Arts wrapped up a two-day visit to Wisconsin Thursday.